Post War California artist, Mel Hanson studied at University of Pacific, Stockton. In the late 1950’s, while still in school, Hanson joined with several other artists including Jack Farlous, Terry St. John, and William Snyder, to live and work in an abandoned Stockton fire station. The group called themselves the Fyrehaus Five. At this time, Hanson painted using brushes loaded with pigment, and many of his canvases are peopled by figures inspired by the referential abstraction of David Park and German Expressionism. Hanson showed signs of artistic brilliance as a child and hit his stride in 1959/60 when he began to paint thick, heavy, juicy figurative works predating and influencing Joan Brown’s 1961-62 thick paint on canvas figurative paintings. 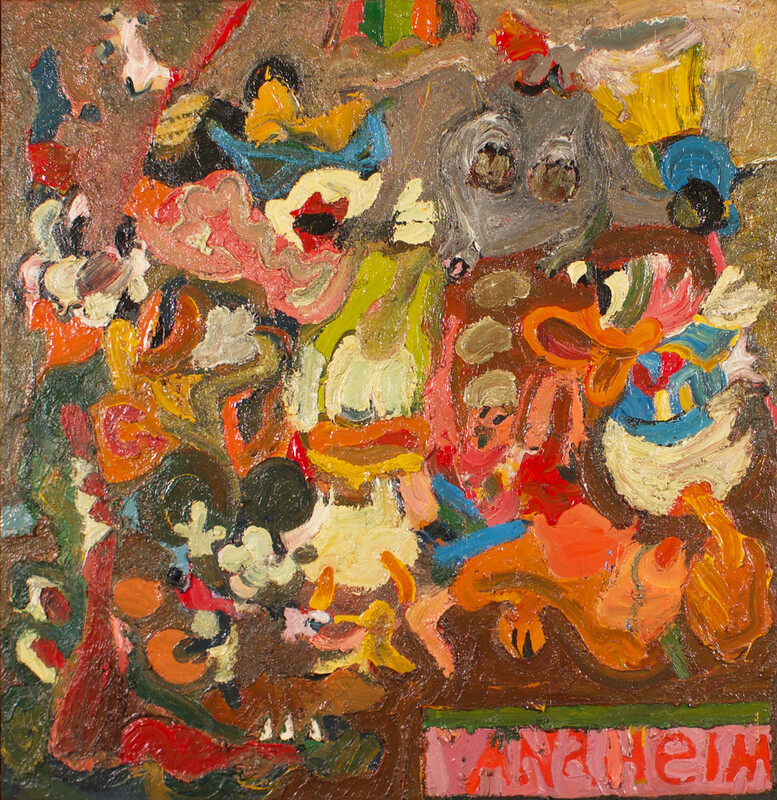 During the early Sixties, Hanson began to incorporate Pop culture imagery into his work as he developed a fascination with the darkly theatrical, absurd and politically charged iconography of Disney Studios. In his drawings and paintings, Disney characters like Goofy and Mickey Mouse appear as strange apparitions alongside portraits of people and animals. He exhibited frequently in the Green and Spatsa Galleries near Union Street in San Francisco in the early 1960’s. His paintings are rare and highly sought after.